Today, the possibility of mass extinction of plants and animals is more apparent than ever. This is especially true for the big cats whose population has been dwindling at an alarming rate. Cats (the Felidae) were for a long time the most powerful and most successful predators on earth. To date, big cats like leopards, jaguars, tigers and lions inspire both fear and admiration in people from all walks of life. Even so, the threat faced by these magnificent cats cannot be ignored. In fact, we should learn a lesson from their extinct relatives. 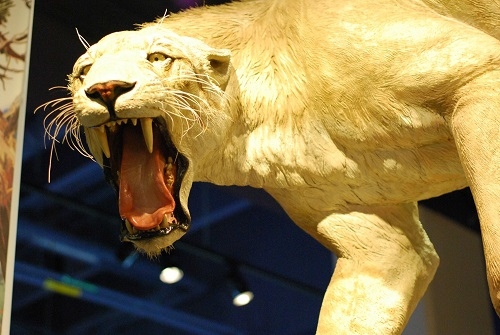 Here, take a look at 8 of the mightiest and largest extinct cats. Time of Extinction: Smilodon was thought to have become extinct around 10,000 BC. Family: The Smilodon belonged to the machairodont felid genus and it is the most popular saber-toothed cat. Habitat: It lived in the Pleistocene age in South and North America. They most likely lived in habitats that were closed like bushes and forests, which also doubled up as their cover to ambush prey. Characteristics: Compared to modern cats, the Smilodon had a more robust build:Their upper canines were exceptionally long, and their forelimbs were well-developed. It had a bigger-gaped jaw and its upper canines were fragile and slender. These attributes enabled the Smilodon to hunt large herbivores like camels and bison. Smilodon traveled to South America about 2 million years ago and Thylacosmilus disappeared at that exact period. 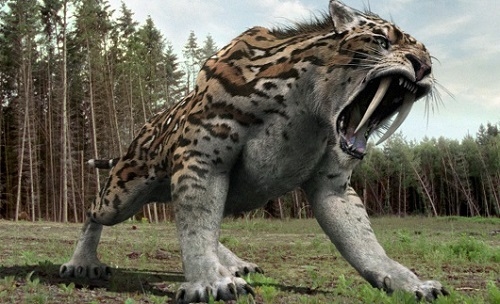 Maybe they were overwhelmed and perhaps even, hunted to extinction by the cat, which makes Smilodon the most awesome animal among all of the extinct cats. Time of Extinction: Giant Cheetah became extinct in the last ice age. 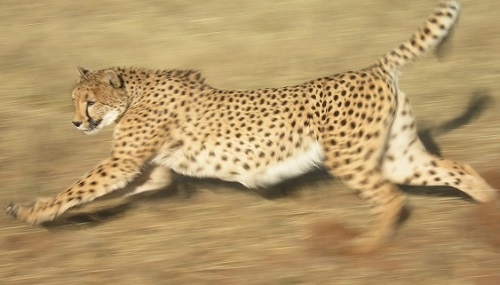 Family: It was a big cat species and Its closest existing relative is the present day cheetah. 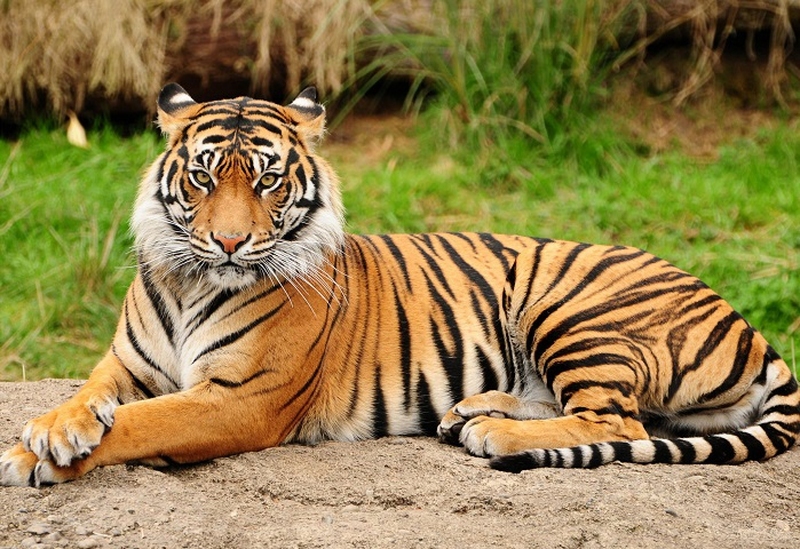 Habitat: These cats resided in Asia and Europe (from France and Germany to China and India). 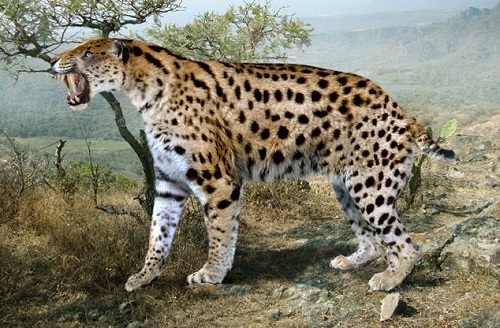 Characteristics: Giant Cheetah resembled modern cheetah but was way bigger. It was about 120 kg to 150 kg, meaning that it was as large as the African lioness. Its size made it possible for it to take on larger prey than that of modern day cheetah. Although it was fast, there were debates as to whether its weight prevented it from running as fast as its modern counterpart. Time of Extinction: Back in 1983, fossil hunters found 2 specimens in Florida’s Alachua County. It was decided that those fossils were from the Irvingtonian age. Family: The Xenosmilus belonged to the saber-toothed cat or machairodontinae subfamily. Habitat: The Xenosmilus lived in the Pleistocene era. Characteristics: Contrary to modern day cats, the Xenosmilus did not strangle its prey. Instead, it would just bite off a large chunk of flesh then wait for the victims to bleed out. This cat was very big weighing about 180 kg – 230 kg. Compared with most adult tigers, the Xenosmilus was more robust, had shorter but stronger limbs and a more powerful neck. Time of Extinction: It existed for approximately 5 million years in both the Pilocene and Pleistocene ages. Family: The Homotherium belonged to the machairodontinae saber-toothed cats’ genus. Habitat: This cat was able to adapt well to various habitats, including the sub-arctic tundra. Characteristics: It was active mostly during day time and hunted in packs. Its hind legs were short and forelegs very long thus slightly resembled the hyena. 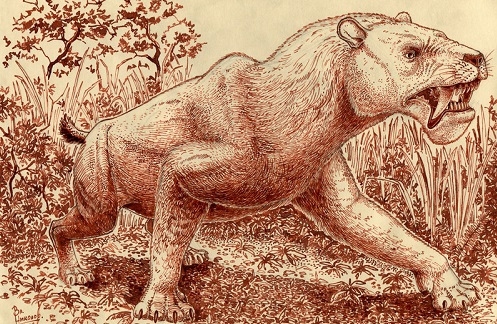 There are fossils that suggest the largest Homotherium could have weighed up to 400 kg. There are paleontologists who also believe that these large cats ate animals with fleet-feet and were skillful mammoth hunters. Time of Extinction: They became extinct in the Miocene period. Family: The Machairoduskabir also belonged to the machairodontinae saber-toothed cat's genus. Habitat: These cats existed in late Miocene and lived in North America, Africa, Asia and Europe. Characteristics: These cats mostly resembled a gigantic tiger with saber teeth. Their proportions were also tiger-like and had a long tail. While the Marchiaroduskabir are seldom said to be big felines, there are some fossils that suggest these cats may have weighed up to 500 kg. They fed on rhinos, elephants and large herbivores that were in abundance at the time. Time of Extinction: It existed for about 33,000 years in the Pleistocene age. Family: Also called the American Cave Lion, Naege’s Giant Jaguar, Panthera atrox or North American Lion, the American lion belonged to the Felidae family. Habitat: They lived in North America and northwestern South America. 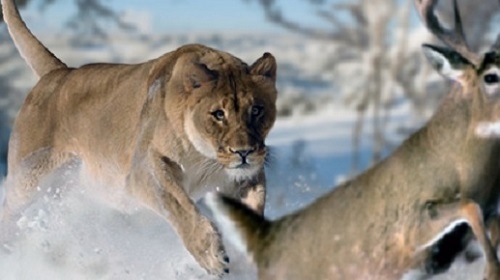 Characteristics: Genetic analysis proved that the American lion was related to the Eurasian cave lion. This cat was very large and weighed about 470 kg. Even though modern lions are pack hunters, the American lions are said to be solitary hunters because their remains are scarce. Time of Extinction: These majestic beasts went to extinction when a bounty was put on them by the Tsarist officials back in late 19th century and early 20th century. Family: The Caspian Tiger was also called the Turan Tiger, Persian Tiger, Mazandaran Tiger and Hyrcanian Tiger. Habitat: The Caspian Tiger ranged from South and West of Caspian Sea from Iran and Turkey to East Asia into China’s Xinjiang desert. This cat most likely had the largest territory occupation of all big cats. 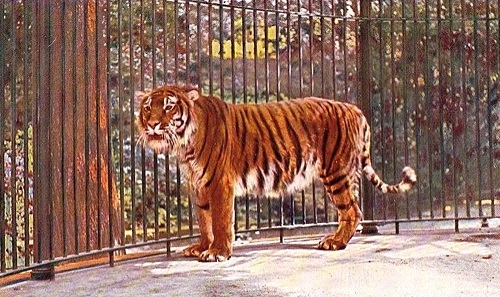 Characteristics: With a maximum known weight 240 kg, the body of Caspian tigers was not as massive as that of Siberian tigers. Its stripes color were a mixture of cinnamon shades or brown. Although these cats have extinct, the good thing is that these cats can still be brought back through “de-extinction”. 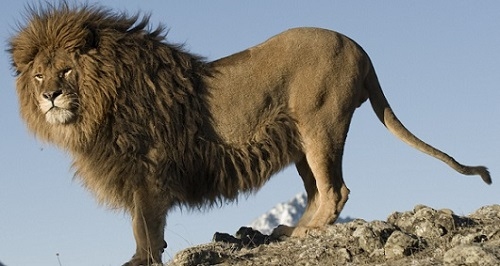 Time of Extinction: Some history books says the last wild Barbary lion (Panthera leo leo) was probably killed in 1922 by a French colonial hunter in Morocco. Family: Known as the Atlas Lion, the Barbary lion was an extinct lion subspecies. Habitat: In the medieval British era, the Barbary lion was kept by British Lords as a prized possession used to impress peasants. Characteristics: Among of the extinct cats, these lions had exceptionally large manes. They were some of the largest lions to have existed and weighed up to about 226.8 kg. While they remained extinct, the Barbary lion can still be reintroduced to the wild via selective breeding of its scattered descendants. Server responsed at: 04/20/2019 10:44 p.m.